The title "sock puppet" is assigned to deceptive people who, in a manner similar to how puppeteers operate puppet shows for children save nefarious intentions, pretend to be someone else for the purpose of promoting a particular view in an online community. 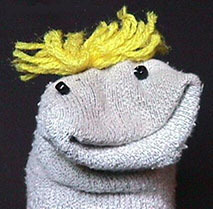 As sock puppets often stir up controversey, which can be very disruptive, other common purposes may include casting false votes in various rating/popularity systems, or to create an apparent illusion of support for views that were recently presented with the sock puppeteer's real identity (or by someone who the sock puppeteer knows or admires). Although many people do use pseudonyms (or "handles") in online communities to hide or obscure their real identities, a sock puppet does so with the intention to mislead people. Sock puppets are known to make frequent contributions to newsgroups, such as N.A.N.A.E., and can more easily be found in most public forums that tend to discuss [potentially] controversial matters (such as spam-fighting).